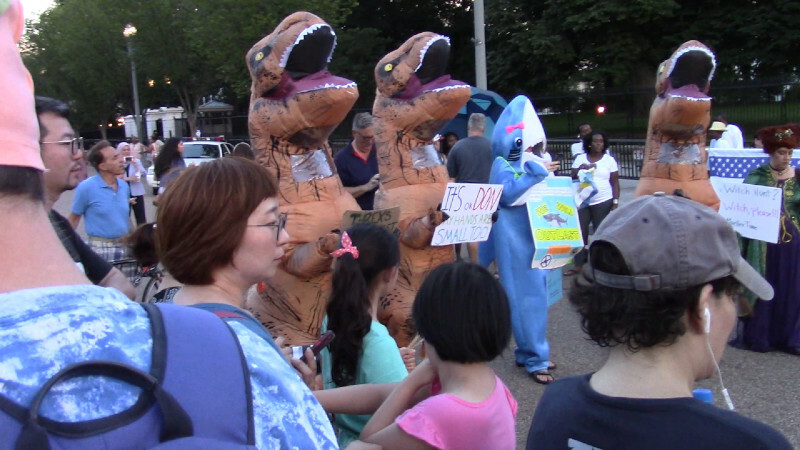 Occupy Lafayette Park Day 17: 3 T-Rexes, shark dance at "Kremlin Annex"
The first of August was Day 2 of jailed former Trump campaign chief Paul Manafort's trial for tax and bank fraud. That evening was also the 17th consecutive evening of Occupy Lafayette Park's protests demanding that Donald Trump be impeached for the related Russiagate scandal. 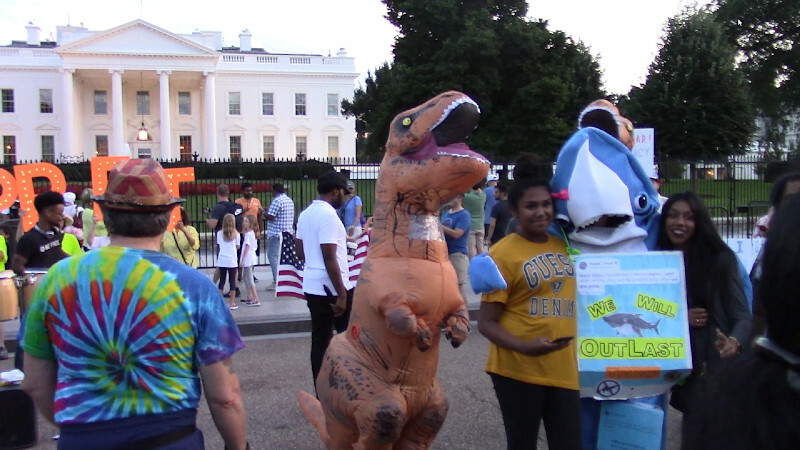 Three activists in T-Rex costumes and one dressed as a shark provided extra energy to this vigorous protest. 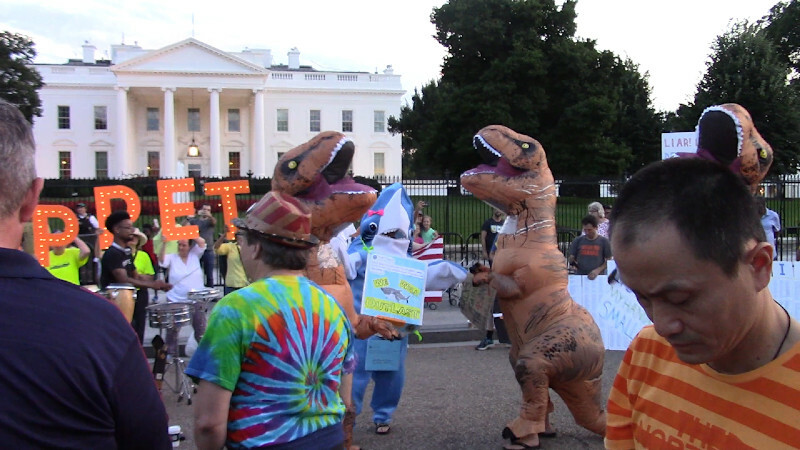 The White House is being called the "Kremlin Annex" by these protesters, who have been there every night since Trump's July 16 joint press conference with Vladimar Putin. At that press conference both denied Russian interference with the 2016 election despite overwhelming evidence to the contrary. Over the days a rather strong Democratic Party influence (e.g "blue wave") has appeared in these protests. On another note, Occupy Lafayette Park is now calling on their participants to turn out on August 12 (11 days from the Aug 1 protest) to oppose Jason Kessler's neo-Nazi rally which also will be in Lafayette Park. This makes sense, especially after Russian social media operations trying to interfere in upcoming 2018 mid-term elections also attempted to interfere with organizing the "A12" counterprotests against Jason Kessler and his torch-bearers of Unite the Right II. Those are the same Nazi scum reponsible for the deadly Nazi rally in Charlottesville, VA on August 12, 2017.